Looking to end their season on a high note in front of their fans at the Pratt Recreation Center, the Pioneers did so with three straight wins. They clinched an ECC Tournament spot on Thursday, Nov. 12, when they dismantled Mercy College 3-0. In that match, senior setter Monica Amador and freshman outside hitter Rachel Londot led the attack with 10 kills apiece. Already having secured a bid to the tournament, the Green Machine wasn’t satisfied with just that. 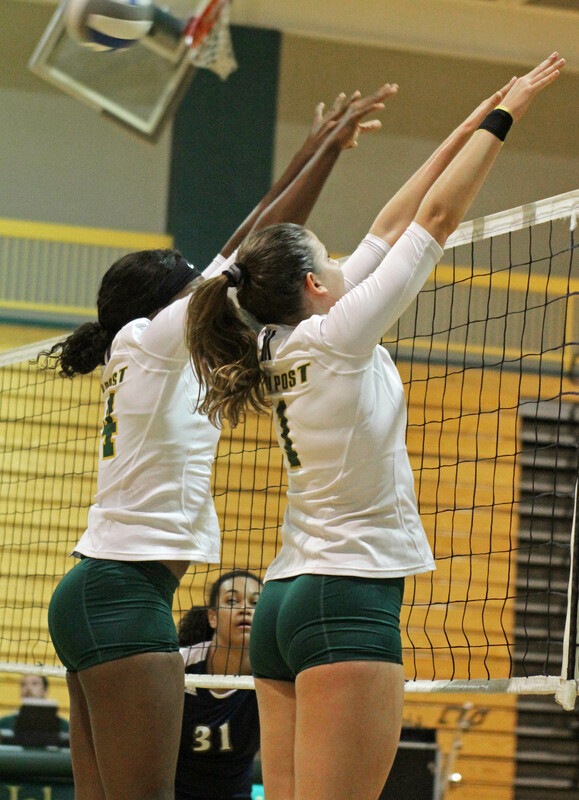 In their first match against Queens College on Saturday, Nov. 14, the Pioneers picked up where they left off and didn’t surrender a single set victory. After sweeping away Queens College, the Pioneers had a short break and returned to the court a few hours later to play Southern Connecticut State. The combination of Londot and Amador teamed up again to lead their squad to another victory. 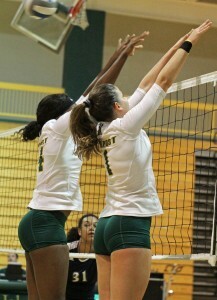 Londot had a match-high 16 kills to go along with eight digs while Amador amassed 11 kills, five digs, and two blocks. The Pioneers and Head Coach Shellane Ogoshi finished the regular season with the no. 4 seed and will face the University of Bridgeport, who are ranked no. 1, on Friday, Nov. 20, in Connecticut in the first round of the ECC Championship.